A state-level committee of governmental and nongovernmental agencies to stimulate a more coordinated response, enhance safety for individuals who have experienced domestic violence or sexual violence, improve accountability of offenders, and look for broader system outcomes. There are indicators of future risk of harm as well as the italicized indicators of lethality. If you or someone you know is experiencing one or more of the following, contact law enforcement or a local domestic violence program. 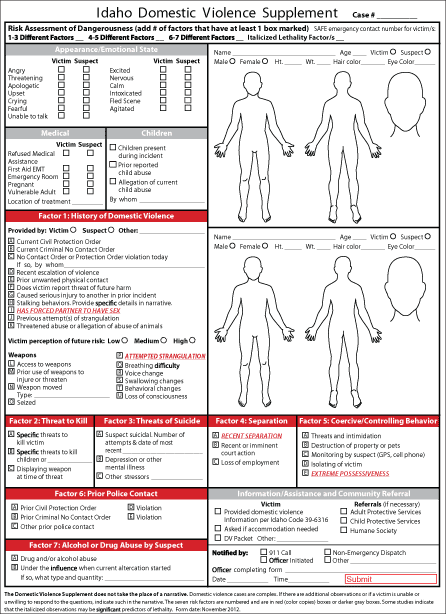 Click the following for the Idaho Risk Assessment of Dangerousness and research supporting the Idaho Risk Assessment of Dangerousness. 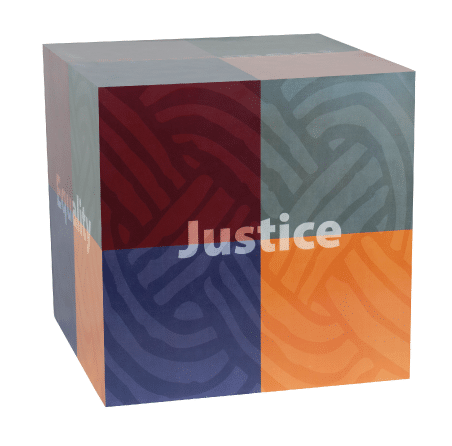 The Idaho Coalition builds the capacity of community and governmental organizations intersecting with the criminal justice system through research and training. neighbor or coworker, click here.